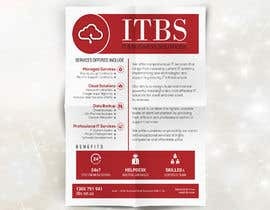 I would like to get a Flyer built for advertising/marketing this new startup IT company. This flyer would be sent to new as well as prospective clients. It can also be given as an advertisement digitally on websites such as Linkedin. I am looking for something simple, elegant and not to flashy. I have attached a sample design and we would like it to be something similar, basic layout being the same. 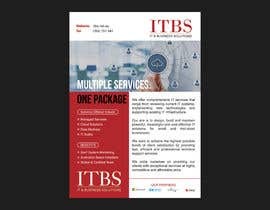 *We offer comprehensive IT services that range from reviewing current IT systems, implementing new technologies and supporting existing IT infrastructure. 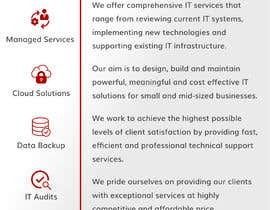 *Our aim is to design, build and maintain powerful, meaningful and cost effective IT solutions for small and mid-sized businesses. *We work to achieve the highest possible levels of client satisfaction by providing fast, efficient and professional technical support services. *We pride ourselves on providing our clients with exceptional services at highly competitive and affordable price. You may refer to the website as well if you need any other details. I have uploaded 2 versions of the company logo that can be used in the flyer. Lastly, in terms of the size, the flyer should be single page and try to keep the size to A4/Letter or even A5 if possible please. Hi, please checkout my two design #26 #30 . If you want any change please let me know. Started working on it sir.Please dont close it in before 4 hours.